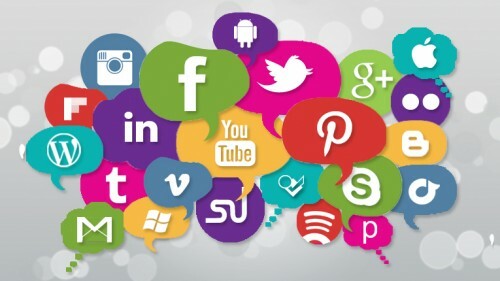 Despite making great strides in its prominence, functionality and application in recent years, social media is commonly still considered the infant sibling of traditional media. And yet, for those using the right networks in the right way, social media represents the biggest opportunity to grow a business, sell a brand and develop a dedicated audience for a product. Just like those organisations that neglect its applications, any PR agency worth its salt should be using every network to its fullest. There is no such thing as a non-integrated campaign any more – all PR is both digital and tradition. A recent report on ‘digital readiness’ in the marketing industry showed that 18% of decision makers have no interest whatsoever in traditional marketing. Instead, the vast majority cited that they believe knowlegde and experience of social networks (80%); blogging, podcasting and RSS (87%), and micro-blogging (72%) to be of the utmost importance when appointing a PR agency. There are too many faceless brands, companies and even, amazingly, people on the planet. We crave authenticity – and digital channels reward it higher than traditional. This is because they are personal versus the fact that traditional channels produce content as the result of a polished, refined process. The truth is the web is not meant to be a finished product; it is merely an avenue to express ourselves. Additionally, the web enables you to talk with consumers and prospects, not at them. Embrace PR with this in mind and you’ll nurture a very different kind of relationship than those who treat it like a broadcast tool. Permission marketing is a core skill for digital PR and marketing professionals to embrace. By growing a community and getting people to say “yes, I want to hear from you,” you’ll earn the permission to share your messages with them long term. And overtime you will develop influence, trust and eventually be seen as an authority on a subject. And as Brian Clarke sagely advises: authority rules. If you acquire digital PR and never do anything with it, you’re not optimizing your social proofing. If you’re gaining endorsements from credible industry professionals or generating tons of buzz and links about your product and not showcasing that, it is a missed opportunity. While many will have seen the buzz initially, what about those who have not? Here at TopRank, we embrace this by aggregating mentions of our brand in a digital marketing newsroom. Put your digital PR to work instead of letting it accumulate digital dust. Even consider taking it offline to win new business: comments, endorsements, interviews and feedback from trusted externalities can be a persuasive force. Pull PR is superior to push, there is no escaping this. A (not so) secret part of media is this: media report on media. It’s so simple, yet so overlooked. By becoming media you embrace a pull strategy naturally and will attract attention from all other types of media – both professional and amateur. The idea of social media scaling for customer service is of course a misnomer – it doesn’t. But popularity on the other hand can continue to grow. That’s not to say it’s easy to keep up, but look at the runaway growth of certain brands, networks and media and you’ll see this to be true. People like Robert Scoble and Michael Arrington just get more popular, and socially active brands like Zappos and Whole Foods gain greater share of voice daily especially when stacked against competitors. Social media applied strategically for PR helps make a brand referential. And when something becomes referential, it just keeps growing. Digital media – due to links, sourcing and aggregation potentiates anything which is referential. Staking a claim sooner rather than later is how you can do this and begin to grow organically. As digital channels continue rise in popularity and influence it will become more difficult to do this as more attempt to do so.